British duo Noisettes really hit their strides three years ago when their single ‘Don’t Upset The Rhythm (Go Baby Go)’ rocketed to No.2 on the UK singles chart thanks in part to its use in a TV commercial. The track also did the business throughout Europe and introduced the mainstream to a band that provided a curious blend of indie-pop, rock and soul. Three years on and the band’s back again with a new single called ‘Winner’ – the first to be lifted from their forthcoming album ‘Contact’. Clearly they’d not been in contact with the Pet Shop Boys regarding their new track – the PSBs also revealed a recent single called ‘Winner’. Noisettes’ album ‘Contact’ is due for release in Britain on August 27. I love the Noisettes, but this is a massive disappointment. Much prefer the Pet Shop Boys track of the same name. 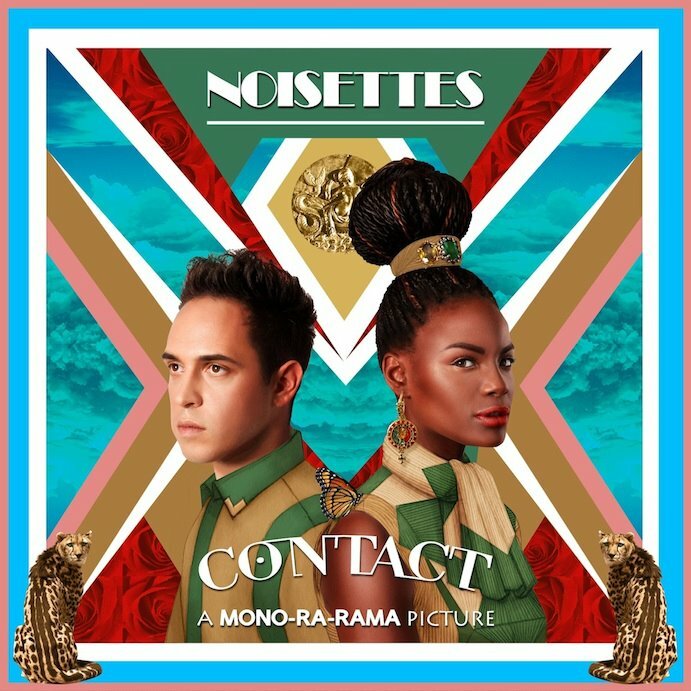 Noisettes first single proper, That Girl is excellent though.